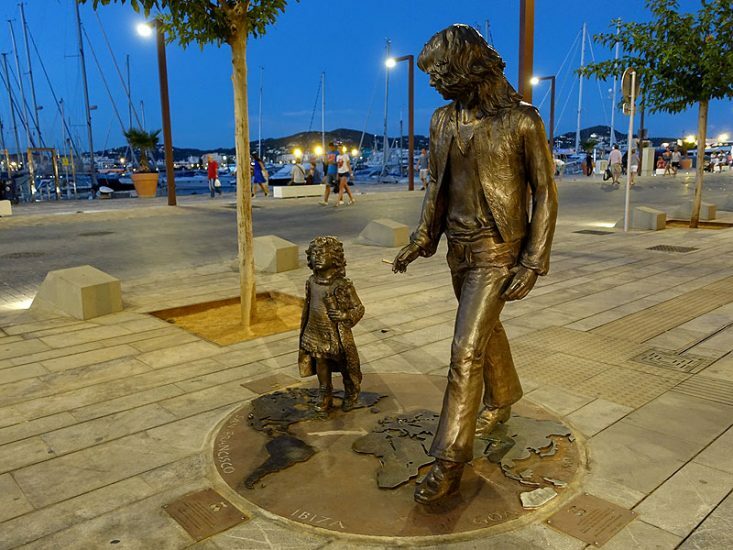 This bronze sculpture was inaugurated in the summer of 2016 and can be found at the intersection of Carrer Lluis Tur i Palau and Carrer Guillem de Montgrí, in the harbour area. 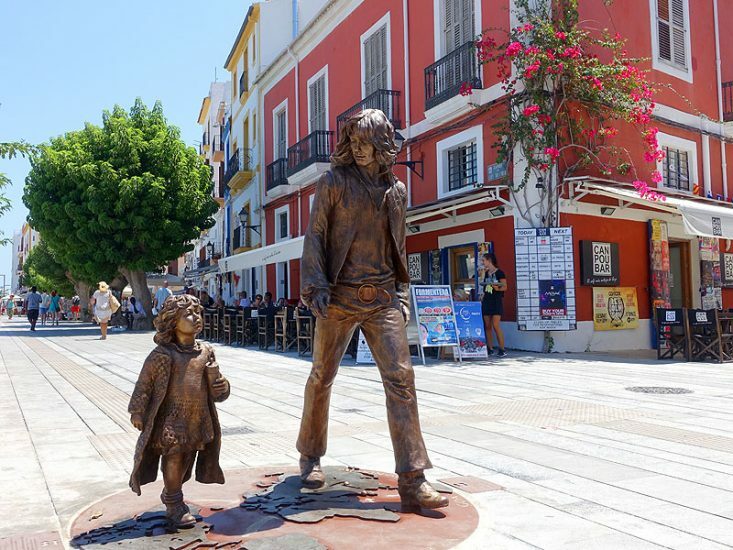 The statue pays tribute to the importance of the hippie movement in the island’s development, beginning in the 1960s. The sculpture is the work of Catalan sculptor Ció Abellí and consists of a three-dimensional representation of a famous image by photographer Toni Riera. Despite the fact that the photograph was taken in a park in Amsterdam in 1972 it has served as an icon of the island on innumerable occasions. The photographic image that the monument reflects in life size features a long-haired father in hippie clothing walking alongside his son. At their feet is a world map highlighting all the most significant international hippie concentrations: San Francisco, Amsterdam, Kathmandu, Goa and Ibiza. The work was donated to the town by the founder of the Pachá Group, Ricardo Urgell.